Here are 5 things to know about our historic $117 Million verdict in favor of Stephen and Kendra Lanzo against Johnson & Johnson Consumer, Inc. (“J&J”) and its talc supplier Imerys Talc America, Imerys. The attorneys from MesoLawyersCare are proud to have obtained this landmark verdict which will hopefully help others diagnosed with mesothelioma, and one day lead to J&J no longer using talc in its baby powder. 1. The Jury Found that Mr. Lanzo’s Mesothelioma Was Caused by Asbestos Exposure from the Use of Johnson’s Baby Powder and Shower-to Shower Talc Powder Products. You may have heard about other jury verdicts against J&J for its widely-used baby powder product. Those other cases involved women who developed ovarian cancer as the result of the use of J&J’s baby powder for feminine hygiene. This case is significant because Mr. Lanzo has mesothelioma, a cancer caused by exposure to asbestos. The first question on the verdict sheet to which the jury answered “YES” was whether Steve Lanzo was exposed to asbestos from Johnson’s Baby Powder and/or Shower-to-Shower from 1972-2003. In answering “YES”, the jury found that these J&J products contained asbestos and that Mr. Lanzo breathed in the asbestos when he used these talc-based products on his body on a regular basis for decades. The jury also specifically found that Mr. Lanzo’s mesothelioma was caused by these J&J talc powder products. 2. The Jury Viewed Evidence of Unsealed Corporate Documents Showing Asbestos in Johnson’s Baby Powder and in the Talc That Went Into the Product. In 2017, MesoLawyersCare attorneys obtained in litigation over 200,000 pages of documents from J&J marked “Confidential”. These documents had been kept by J&J for decades. The documents showed that in the 1960s, J&J had identified asbestos in the talc that the company was using to make its baby powder. In the 1970s, internal J&J documents showed testing detecting asbestos in both Johnson’s Baby Powder and the talc (mined in Vermont) that was used to make the powder. In later decades, including the 1990s, there was a published study that identified a sample (“Sample I”) as containing asbestos fibers. It was not until J&J produced confidential documents in litigation that it was discovered that “Sample I” (which contained asbestos fibers) was Johnson’s Baby Powder purchased off-the-shelf in approximately 1990. Additional confidential internal documents also showed that the author of the 1990s published study was in communications with J&J and told the company that its product contained asbestos. In 2003, another document produced by J&J showed that an independent lab had tested Johnson’s Baby Powder and found asbestos in the powder. Hundreds of these confidential J&J documents have now been unsealed as the result of the Lanzo trial. 3. The $117 Million Verdict Consists of Damages for Mr. Lanzo’s Pain and Suffering, Mrs. Lanzo’s Loss of Consortium and Punitive Damages. The jury verdict in the Lanzo case was delivered by the jury in two parts. First, the jury awarded $37 million in compensatory damages. This included $30 million for Mr. Lanzo’s past and future pain and suffering. The jury was instructed that these damages are intended to compensate Mr. Lanzo for all of his pain and suffering from the time that he first developed symptoms from the mesothelioma until the time in which they determine that Mr. Lanzo will die from mesothelioma. The jury’s compensatory damages verdict also included an award of $7 million for Mrs. Lanzo’s loss of consortium and loss of services and society. These spousal damages recognize the losses that a spouses have when their partners suffering from a debilitating personal injury. In the second phase of trial, the jury awarded $80 million in punitive damages, which are designed to punish and deter bad conduct. The jury found that both J&J and Imerys acted with deliberate indifference to the rights of Mr. Lanzo, and awarded $25 million in punitives damages against Imerys and $55 million in punitive damages against J&J. 4. Johnson & Johnson and Imerys Still Claim that Their Talc Powders Never Contained Asbestos. For more than 45 years, and throughout the Lanzo trial, and even after trial, J&J and Imerys claim that their talc never contained asbestos. These companies claim that any findings of asbestos in their talc powder was the result of lab error or a lab calling something “asbestos” that J&J and Imerys claim are not asbestos. At trial, J&J and Imerys did not call any expert witness who had tested Johnson’s Baby Powder for the presence of asbestos. On the other hand, the MesoLawyersCare attorneys representing the Lanzo family called an expert who had tested 30 vintage samples of Johnson’s Baby Powder manufactured during a variety of years and decades. The expert witness found asbestos in the majority of vintage Johnson’s Baby Powder containers he tested and showed the jury pictures of the asbestos fibers in the baby powder as seen under a powerful transmission electron microscope. If you walk into most any drug store, you will find two versions of Johnson’s Baby Powder on the shelves: the classic Johnson’s Baby Powder that contains talc and Johnson’s Baby Powder made with corn starch. J&J had corn starch as a 100% asbestos-free alternative starting in the late 1800s, but it was not until the 1970s that J&J developed a baby powder that used corn starch instead of talc. J&J sold the corn starch version of its baby powder in limited markets starting in 1980s and then later began marketing the corn starch version nationally along with the classic talc version. J&J never gave consumers an informed choice by disclosing the asbestos issues in its classic talc baby powder, so that the consumers could choose to protect themselves by using the corn starch version. In the Lanzo trial, the jury found that J&J had a safer feasible alternative design (corn starch) that could have prevented Mr. Lanzo’s mesothelioma. The attorneys from MesoLawyersCare are committed to our clients, as reflected by the landmark victory achieved by a collaboration of two of the MesoLawyersCare law firms in the Lanzo case. The MesoLawyersCare group has collectively won more than $10 billion dollars in recoveries for our clients suffering from mesothelioma and other asbestos-related diseases. Call us now at the number on this page, or type into our “live chat” now on this screen, or fill out the firm. 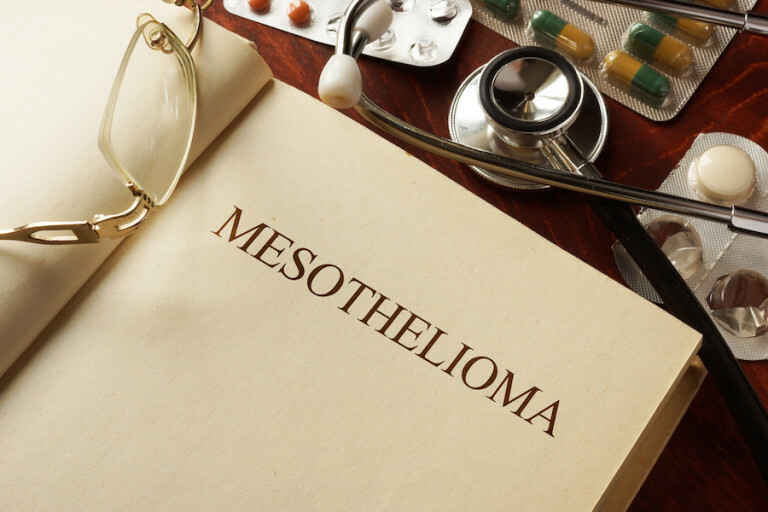 We are happy to provide a free consultation to evaluate your potential mesothelioma case.